Youtuber Shmee150 brings us a video of the BMW M2 Competition from the 24 hrs of Nurburgring. 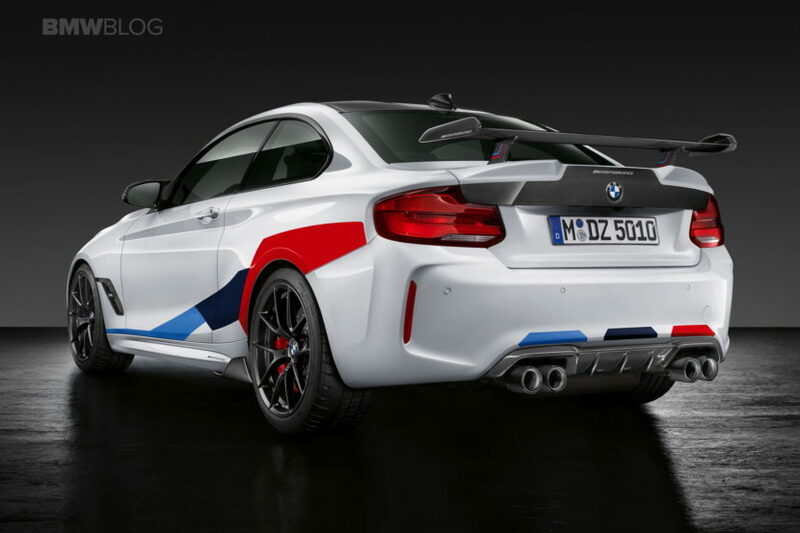 The new two-door sports coupe was also fitted with the newly revealed M Performance Parts. BMW engineers came up with a whole series of highlights to lower the weight of the M2 Competition and enhance its already very sporty driving characteristics. This includes the M Performance coil-spring suspension retrofit kit, which can be lowered by up to 20 millimeters, while the damping technology can be independently adjusted for the compression stage (12 setting options) and the rebound stage (16 setting options). 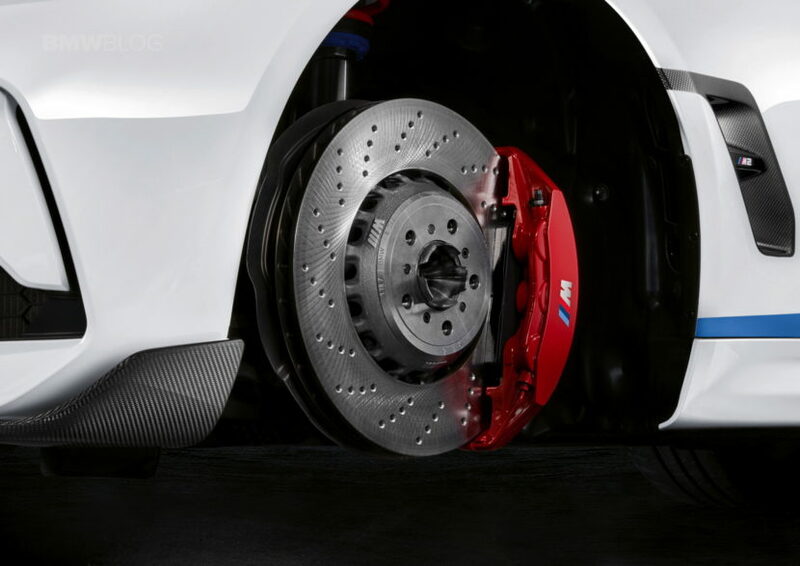 The larger, internally ventilated and perforated BMW M Compound Brake Discs comes with aluminum 6-piston fixed calipers on the front axle and 4-piston fixed calipers on the rear axle generate more brake force under extreme conditions. In conjunction with the new 19 inch M Performance forged wheel Y-spoke style 763 M the unsprung masses are reduced by 3.2 kilograms compared to the standard 19 inch wheel. 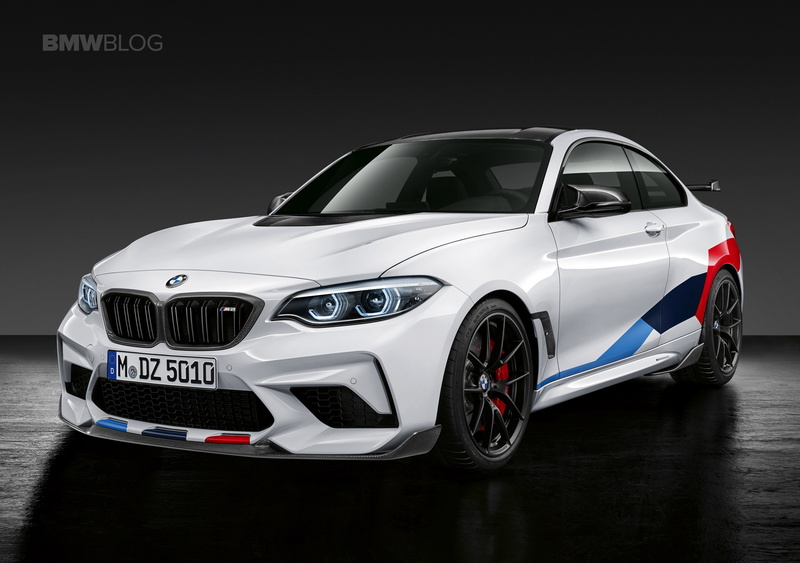 The newly developed M Performance bonnet is made of carbon fiber with partially visible varnished carbon fiber and for the first time the BMW M2 Competition boasts a powerdome. Additional carbon fiber parts, in addition to saving weight, aid the aerodynamics. 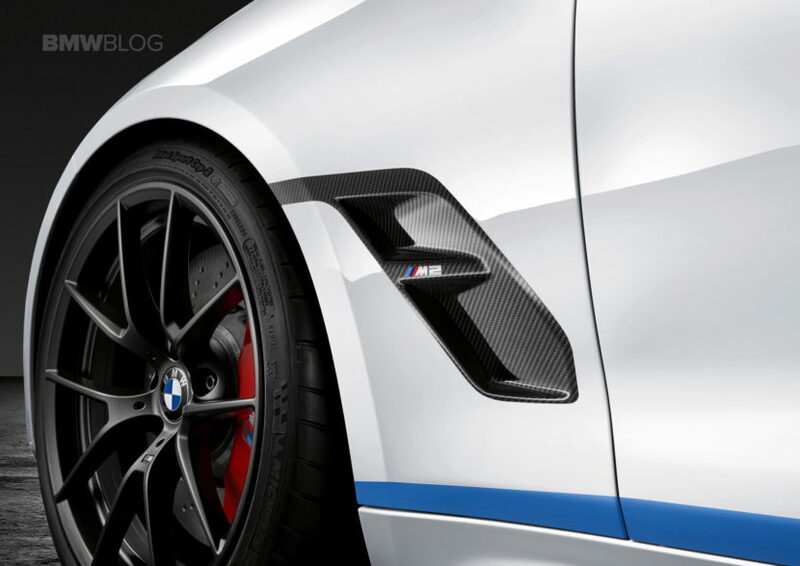 Particularly eye-catching is the carbon fiber front splitter. 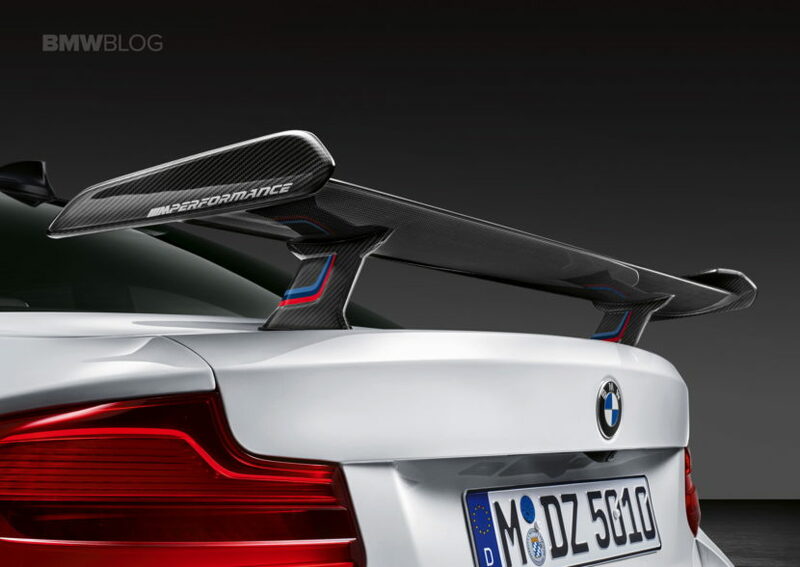 Buyers also have their choice of rear wing to suit their particular taste. 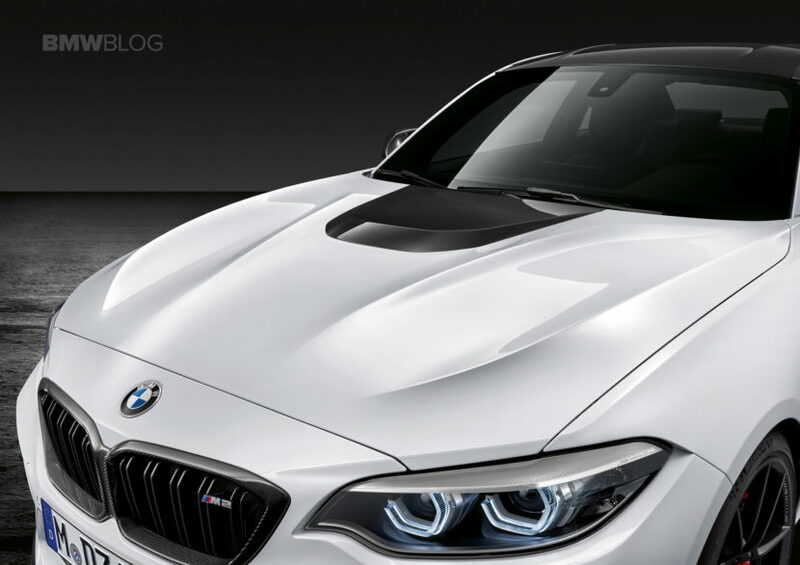 The carbon fiber roof also saves 11 pounds of the M2 Competition’s weight. Carbon fiber versions are also available for front splitter, kidney grille, air breather side bars, exterior mirror caps, door sill finishers and side skirt extensions. 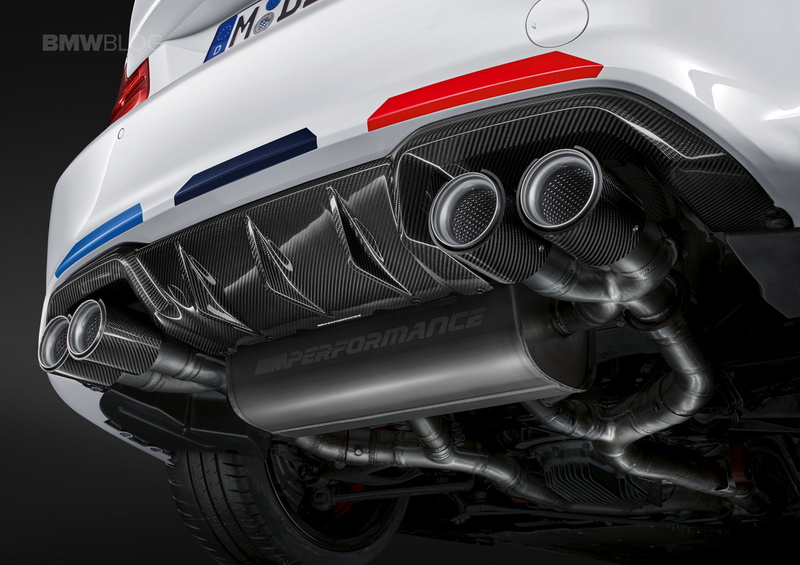 A lighter-weight exhaust system features a titanium rear silencer and carbon-fiber tailpipes with the M logo, with sounds engineered from sporty in Efficient Mode to racing acoustics in Sport and Sport+ Modes. Inside, we have an M Performance steering wheel with race display, Alcantara and open-pore carbon fiber. In the footwell, the M Performance pedal covers in stainless steel and M Performance floor mats provide further dynamic touches. High-grade parts for the gearshift lever knob/gear selector switch, double-clutch transmission and hand brake handle are featured in the carbon fiber/Alcantara M Performance interior kit.